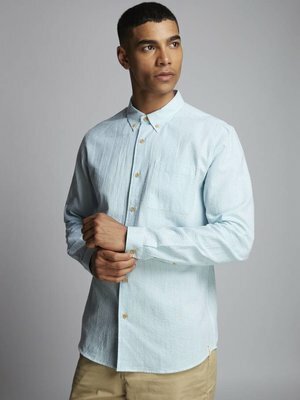 'Simmons' is a HYMN classic, brushed cotton, regular fit shirt, available in light green or light blue. 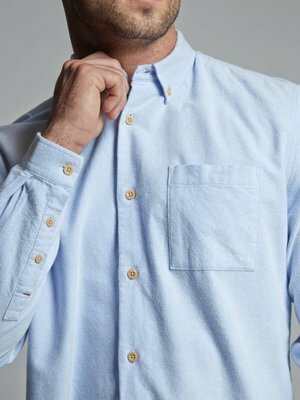 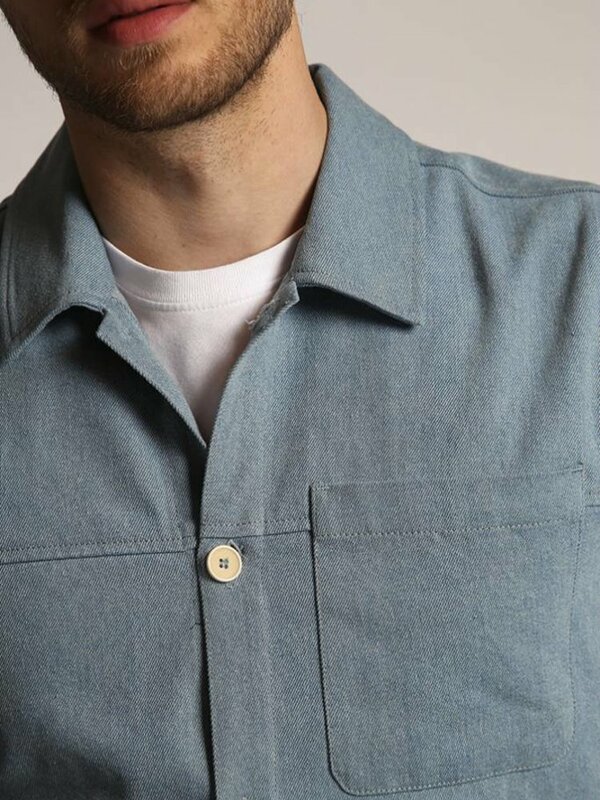 'OCEAN' is a linen and cotton blend Indigo Shirt with chest pocket. 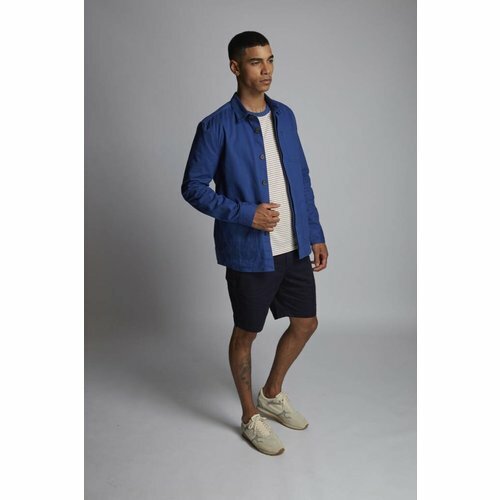 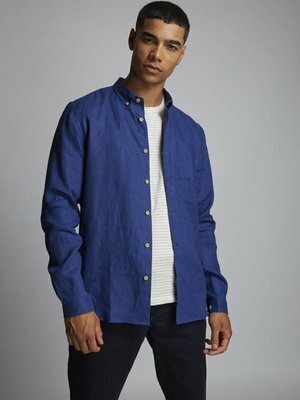 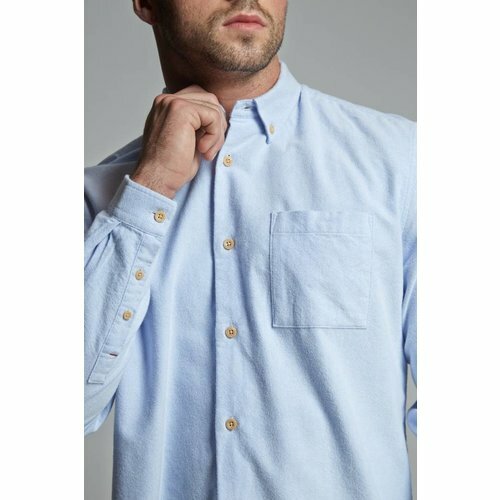 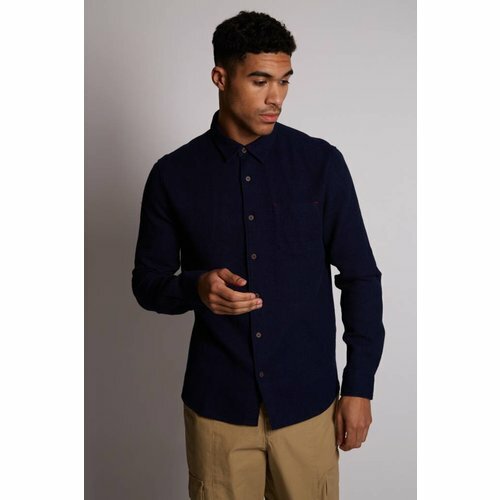 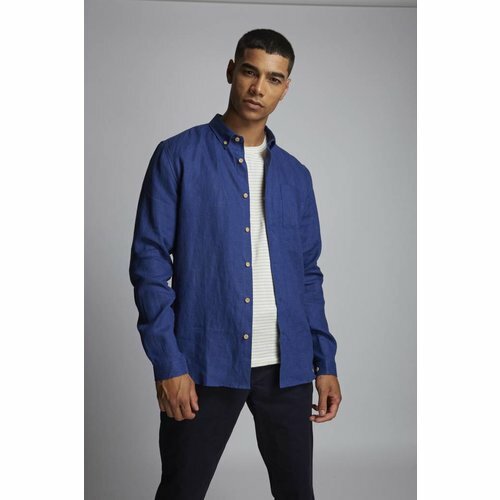 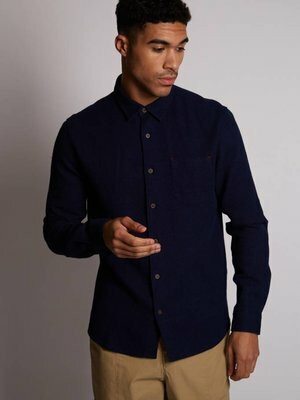 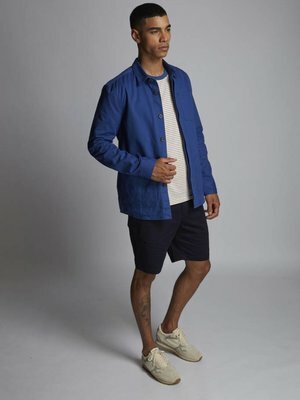 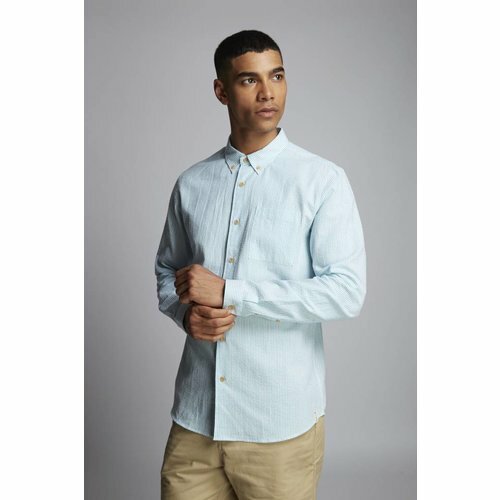 'COAST' is a linen textured waffle indigo blue coloured shirt with a chest pocket. 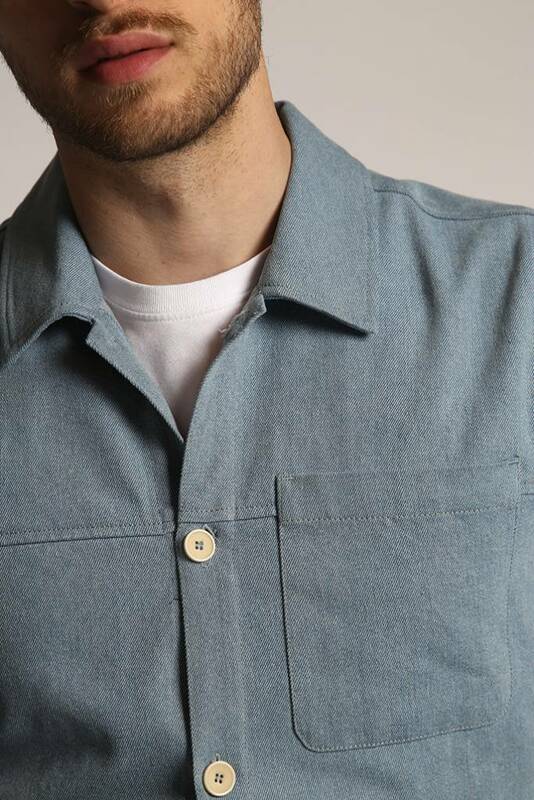 'PEBBLE' in a jaspe cotton linen blend Grey shirt with chest pocket. 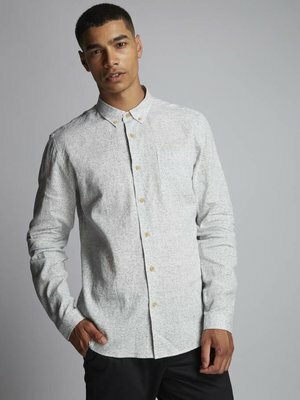 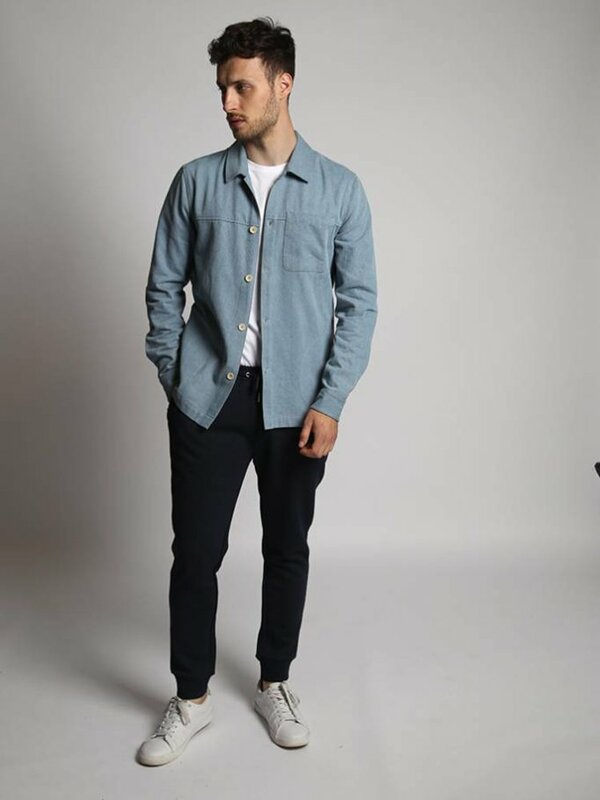 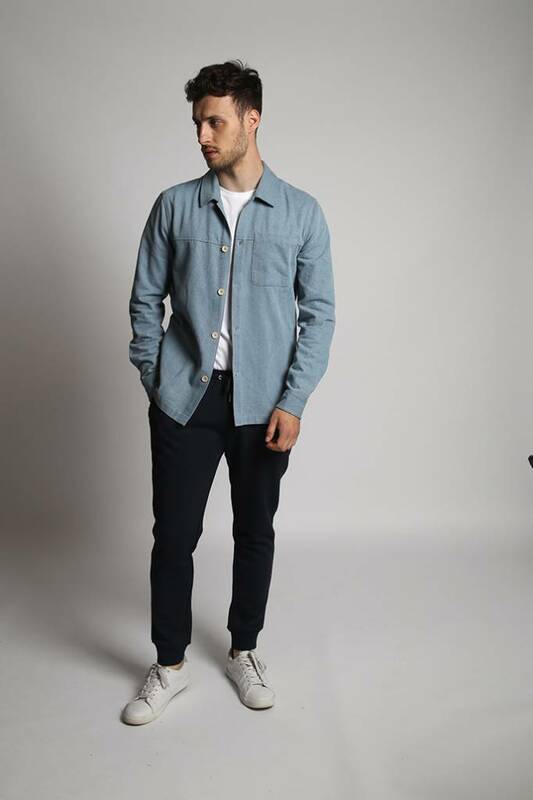 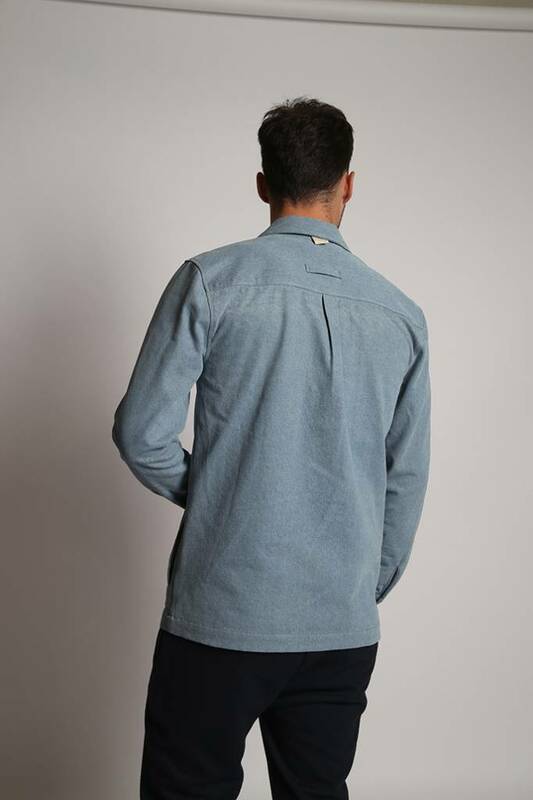 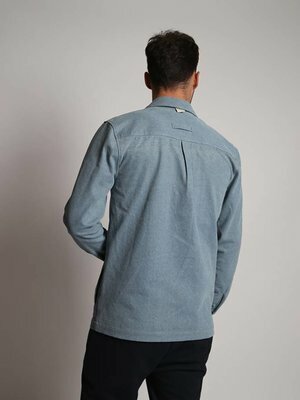 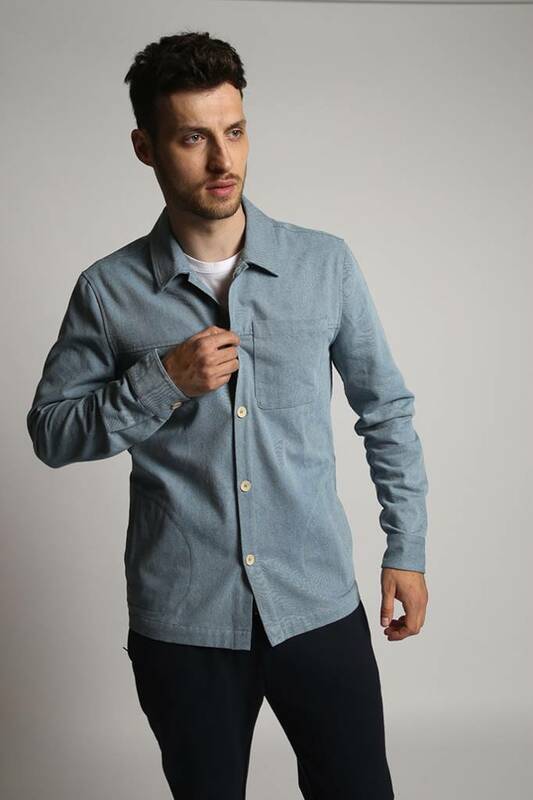 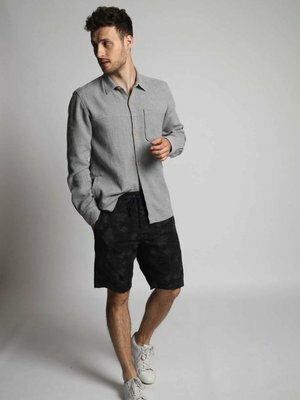 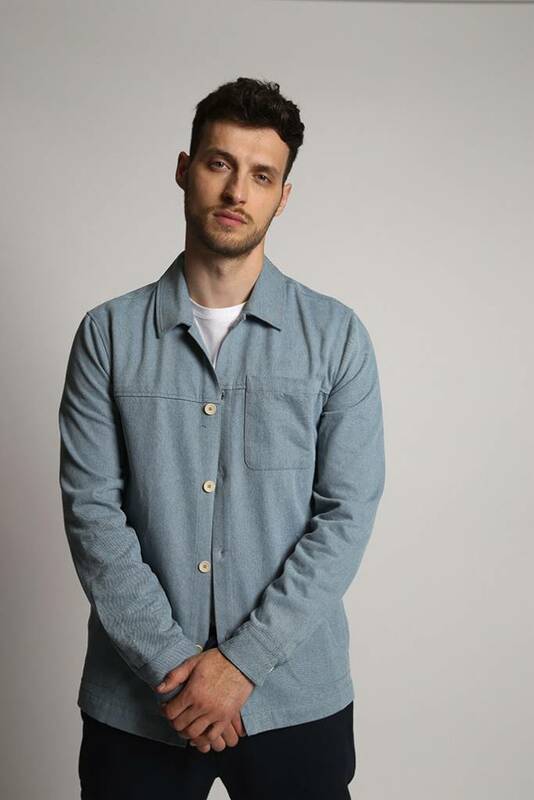 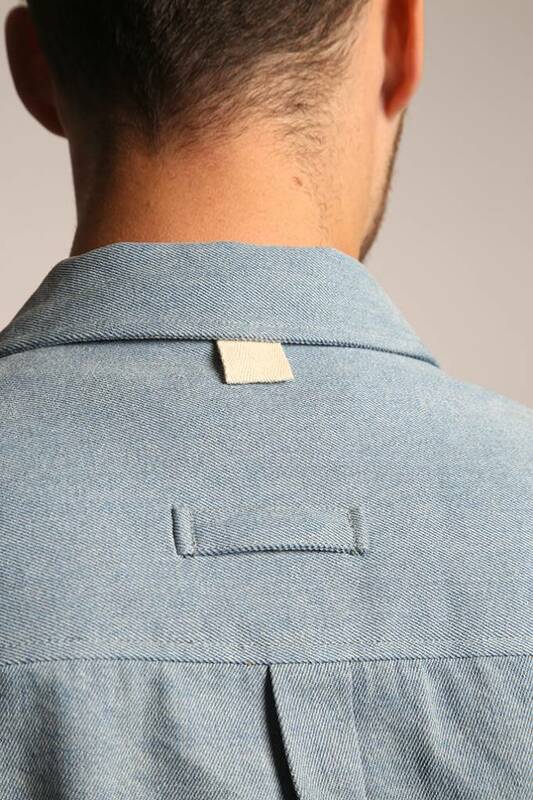 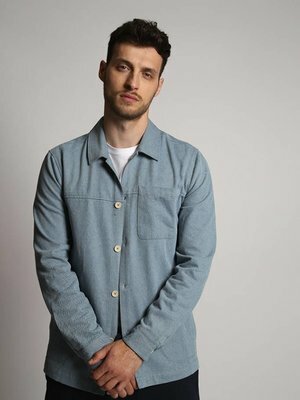 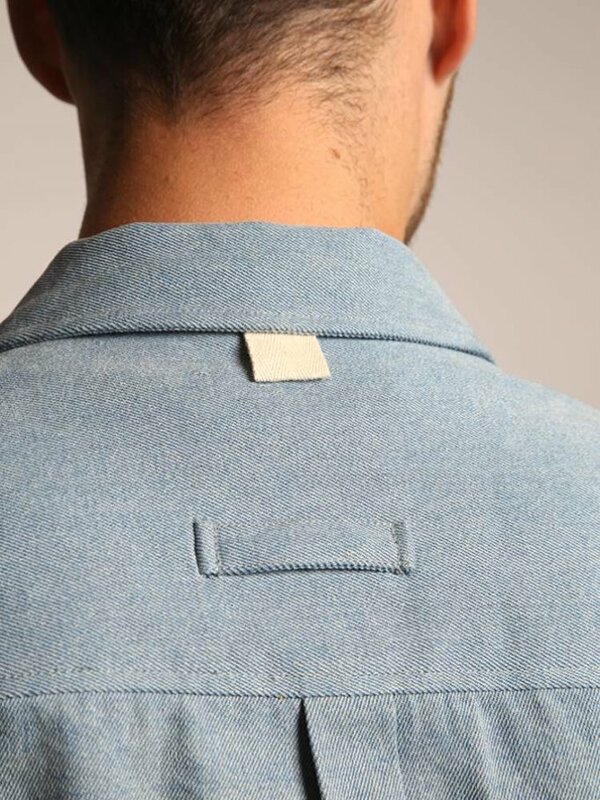 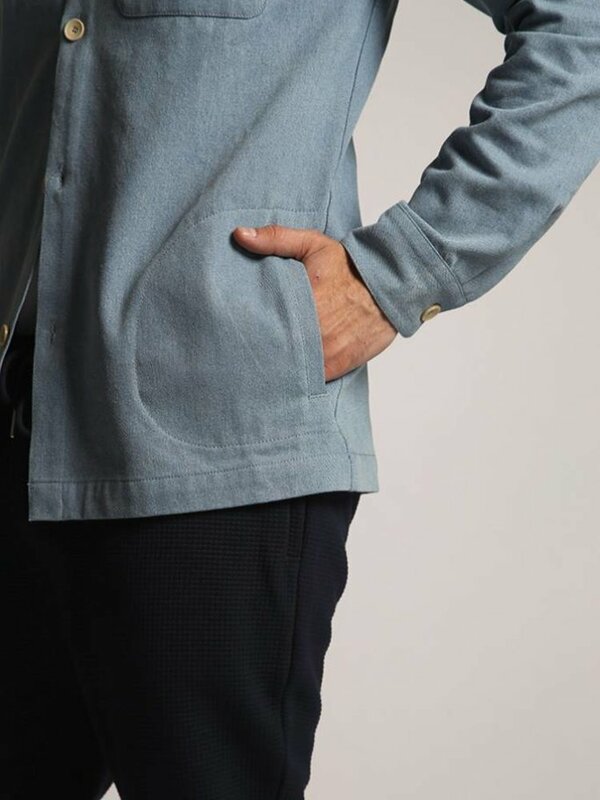 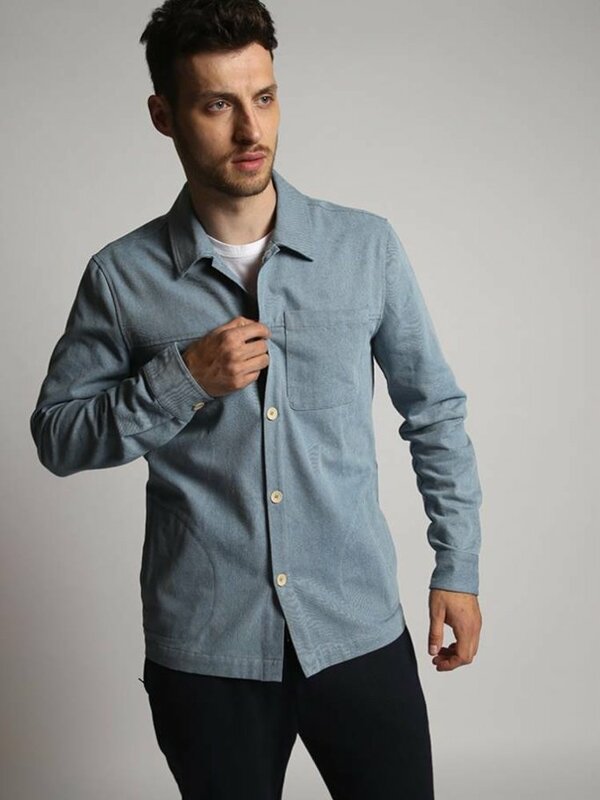 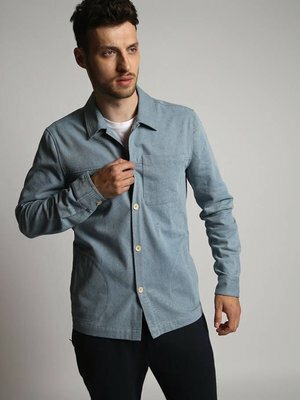 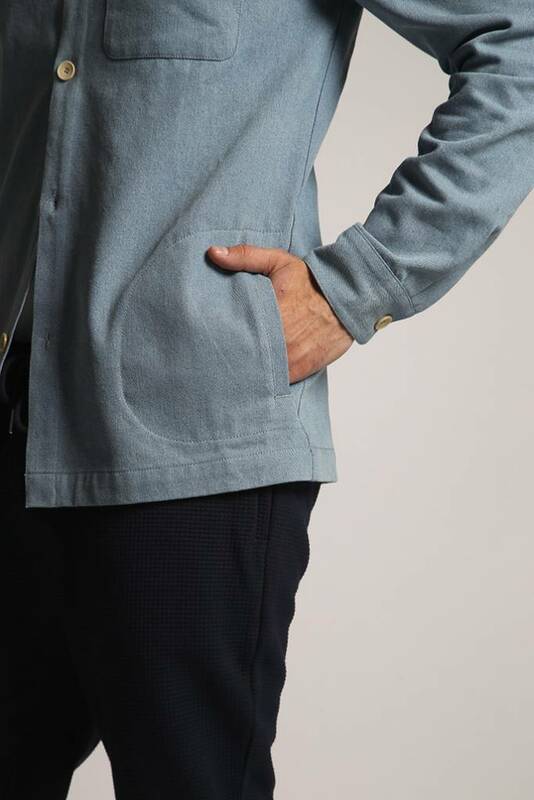 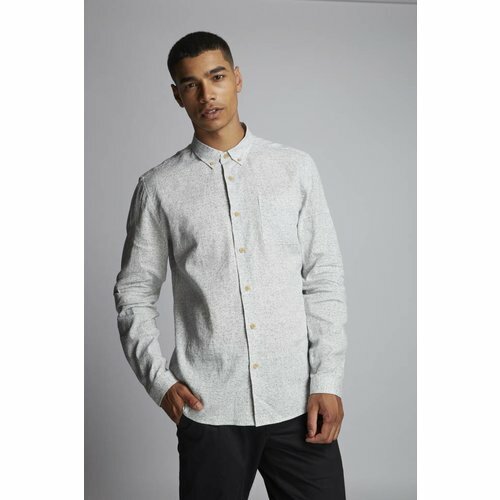 'Riviera' is an grey marl waffle textured linen overshirt with a chest pocket. 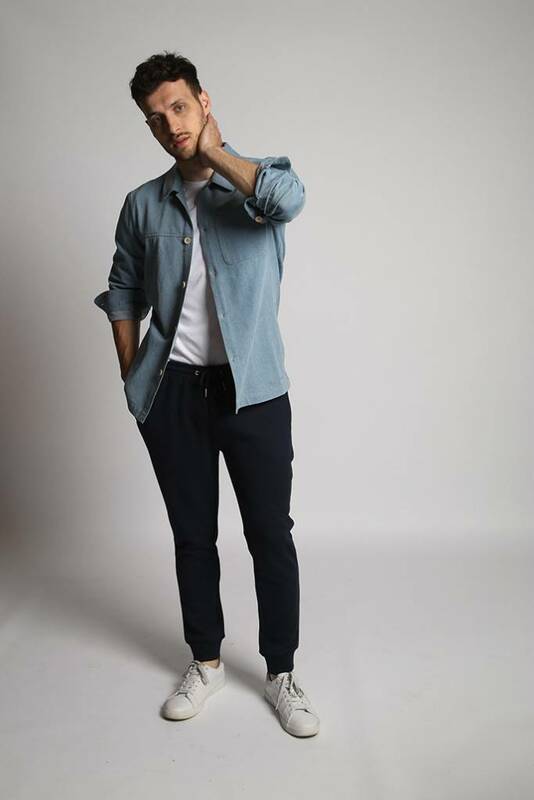 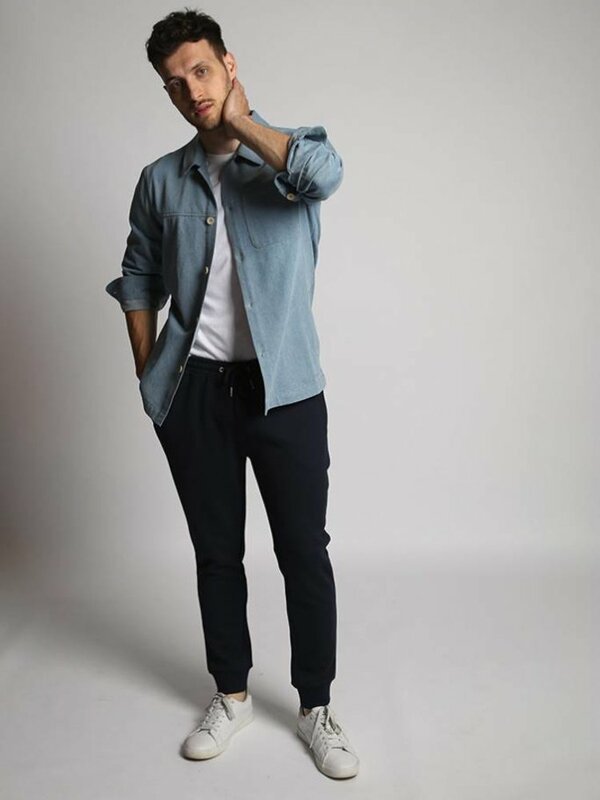 'DECKCHAIR' is an linen seersucker aqua striped shirt with chest pocket.